If you were afloat on a leaking life raft in the Arctic and saw an iceberg, you’d paddle toward it. 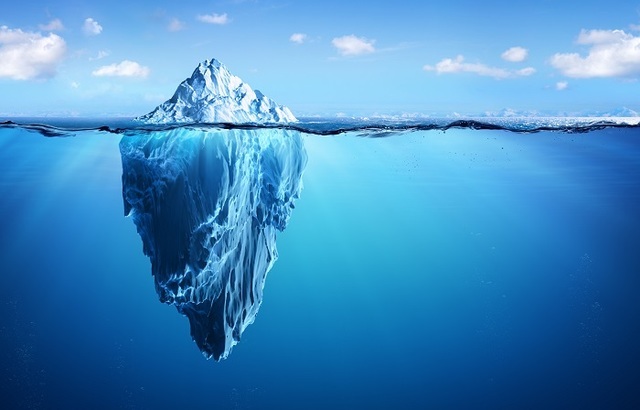 A majority of an iceberg is hidden under the water line, but it wouldn’t matter what size and shape it was under water, as long as what you saw above water was large enough to survive on until being rescued. The same is true with God. We don’t have to know and understand everything about God, but we can respond to what we do know about Him. This is a huge universe with astonishing diversity and complexity. We continue to discover more and more about everything. The more we discover the more we uncover new mysteries of the universe. We can never grasp everything about everything. It shouldn’t surprise us, then, that if we can’t fully comprehend the universe we certainly will not be able to fully comprehend God who made it all and sustains it all. God, far more than His creation, is ultimately incomprehensible. For instance, how could God always have existed? How can God be sovereign (in full control) and yet how can we have free choice? How can God know how the future will turn out when we humans have the free will to influence and change the future? How can God be one God and yet the three “persons” of the Trinity: Father, Son, and Holy Spirit? All we can do is give as much as we know of ourselves to as much as we know of God. This is the starting point. By God’s grace, it is enough!